Any time I stop to think about it, I get surprised at how I have become accustomed to a 48 inch HD Wide Screen TV as an expected thing. I shouldn’t be quite so cavalier about it. Really. This is truly amazing technology. Not only am I watching a baseball game in high definition wide screen splendor, I’m watching the home broadcast of the San Francisco Giants in Castle Rock, Washington. Not only that, I’m doing it without an antenna nor even a cable connection. The whole thing is beamed to my tiny ROKU box via a wireless connection fed by Comcast cable through something called a “router” sending the signal silently, and ultimately, to the aforementioned High Definition Wide Screen 48-inch television. In other words…..Magic. Amazing technology. After the game, I’m going to watch a B&W Film Noir from 1947 utilizing the same technology. That’s even more amazing. 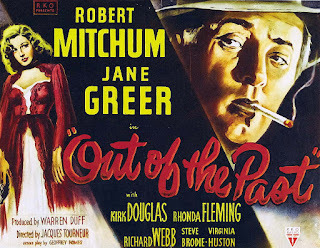 I’ll still be in front of the same TV, using the same WIFI home network and ROKU box, but I’ll be watching “Out of the Past” on Pub-D-Hub. 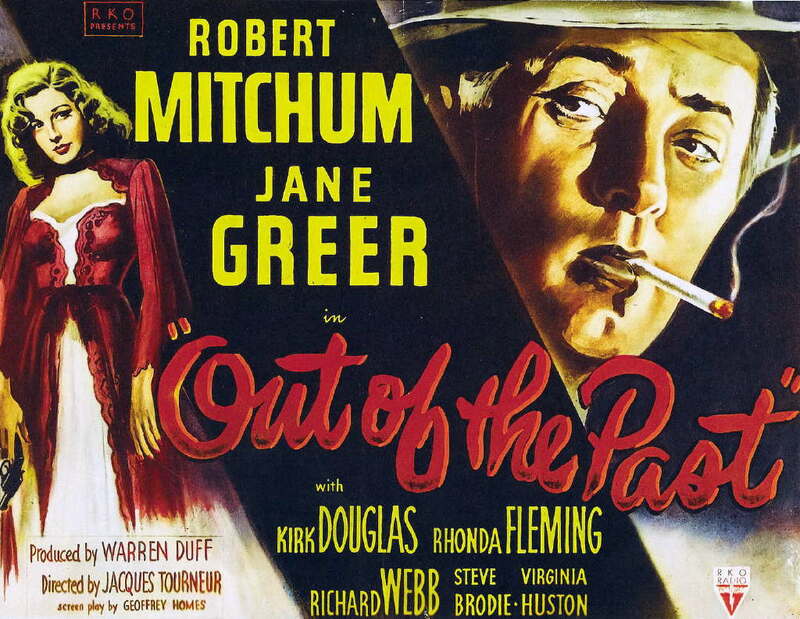 “Out of the Past” is a movie. The sophisticated reader might notice that this is entitled “Television Notes”, creating the conundrum: Is it television, or is it a movie? It’s a movie that I saw on my television. Not that I won’t go to a movie theater on occasion, but I get a case of the hives at the price of a movie ticket, so I watch movies on my television. I watch television programs on my television, too, but today it was a movie. There’s a lot more story here than there needs to be, but then again, they had to fill up an hour 36, so…..Shoot-outs, fist-fights, good guys and bad guys, good girls and bad. It is, however, Noir, thus, the good guy ultimately gets his in the end by way of his relationship with a duplicitous dame. Plenty of suspense and intrigue, and the story doesn’t end until the end. We got, as the lead good guy, none other than Connecticut born, dimple-chin Robert Mitchum. When he was 14 he was on the road, managed to get arrested for vagrancy and sentenced to a Georgia chain gang and subsequently escaped. 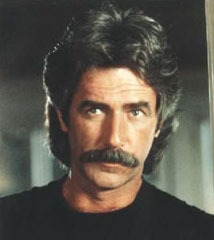 During the war he worked for Lockheed aircraft in Long Beach and acted. He’s been all over the place, but he will always be Pug Henry in The Winds of War for me. Second billing went to Kirk Douglas, the runner-up in chin dimpledom, and the mostly bad guy with a heart of gold. Kirk was born as Issur Danielovitch Demsky to Belarus Jewish immigrants and lived in a ghetto. He did all right for himself, dontcha think? They both love Kathie (the bad girl), played by Jane Greer. Jane was born Bette Jane, but she dropped the Bette at Howard Hughes insistence. Pity. Jane was a top-drawer hottie by any standard. This being a Noir film, Kathie does both of the boys bad. It just has to be that way, I guess. The good guys get dumped on by the hot girl. Catch it in it's entirety on your own ROKU box tuned to the Pub-D-Hub channel.